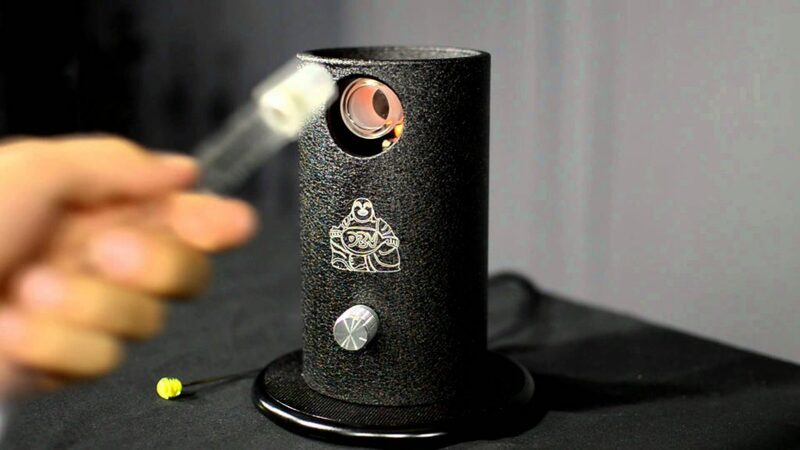 Home » Vaporizer » What Constitutes the Best Desktop Vaporizer? Since vaping became a fashionable and healthy alternative to smoking the market exploded with products. Desktop vaporizers, the powerhouse of vaping, have grown from rudimentary, basic devices to high tech desk machines that allow you to monitor output, set temperatures, and even play music. As more machines hit the market enthusiasts look to find the best desktop vaporizer for their dollars, but what constitutes a great desktop vaporizer? Customers of direct draw vaporizers look for machines with massive outputs and the ability to use both concentrates and dry herbs. The VapeXhale Cloud EVOis one of the more popular of the direct draw vape machines for this reason. The device has been out for enough time to allow customers to weight in on the vape machine’s performance. Users have stated that the Cloud EVO is one of the “best machines” on the market for heavy users. It utilizes an all glass path for the vapor and contains both herb baskets and options of glass or quartz “vapexnails” for concentrates. 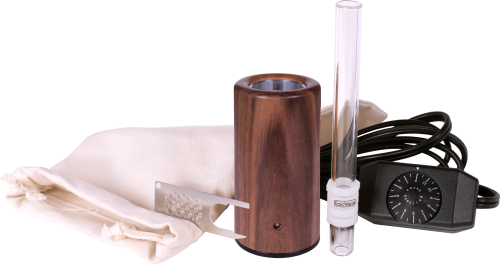 The E-Nano vape machine is a moderately sized wooden “log vape” direct draw vape machine. Made from attractive American hardwoods, the E-Nano is considered to be an aesthetically-pleasing alternative to the metal products on the market. Another potential selling-point when it comes to appearance is its unconventional designe. When the glass stem is not attached, the device would be undetectable as a vape product. Consumers of the product have said that it provides maximum cloud with great taste thanks to its ceramic heating elements and glass vapor path. Whip vaporizers are described as the vape machine for more casual users or entry users. The devices allow for a longer period of user time with more draws. The Silver Surfer™is one of the more popular whip vaporizers on the market. Made in Colorado, this vape machine is known for its simplicity and versatility. It was the first vape machine to use a ceramic heating element with glass on glass airflow. Customers say that this creates the ideal flavor. Each vaporizer has hand-blown glass temperature control made by artisans for the purpose of ensuring that each machine is absolutely unique. Another Colorado-made whip vaporizer gaining in popularity is Da Buddha.This is a very basic whip vaporizer with standard ceramic heating elements and easy to use control dials. It is black in color and maintains a cylinder shape. Made by 7th Floor (the same company as the Silver Surfer), Da Buddha is the more base model for new users. Home user vape machines are basically desktop vaporizers that are too big to want to carry from place to place. They come in all shapes and sizes and according to online reviews are gaining in popularity. 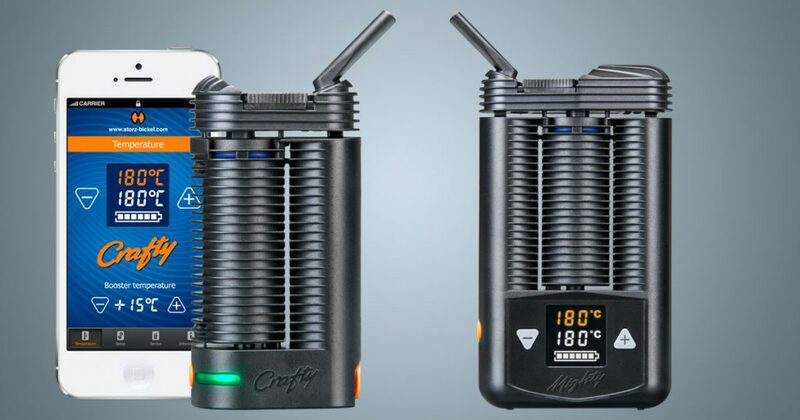 The Mighty Vaporizer is a large vaporizer meant for multi-user vaping. While users state that it is of a passable size and perfect for taking outdoors, it is still a high output, heavy vape machine. According to reviews it doesn’t require frequent cleaning and is durable enough to survive being dropped. And for those who want more cloud with their vaporizer it connects up to glass pieces via water pipe adaptors. 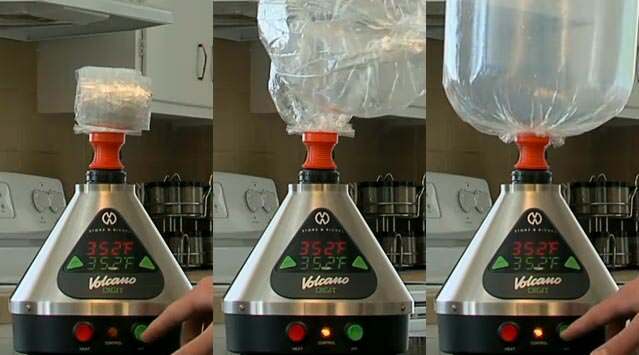 This vape machine has been reviewed all over the Internet. It is one of the most popular vape machines on the market and always seems to makethe “best desktop vaporizer” lists. Made by Storz and Bickel this machine is a high quality product with a nice warranty program. Named for its appearance and output, The Volcano is a tiny powerhouse of cloud. It has both solid valve and easy valve options (something most users cite as a selling point), and is made from stainless steel and heat-resistant plastic. The company now sells both digital screen versions and a classic dial version of the product, giving users two aesthetic options. As consumers we have budgets and within those budgets we make purchase decisions based on design, ease, durability, use and aesthetics. When trying to determine what makes the best desktop vaporizer we are really looking at those categories as they apply to our budget and needs. All of the brands we cited in this article are highly-rated by users and come in a wide range of prices. They all have the ability for upgrades, most of them have warranties, and all of them are solid, hard-to-break machines. Drop us a note to tell us your experience and what you think the best desktop vaporizer on the market is.